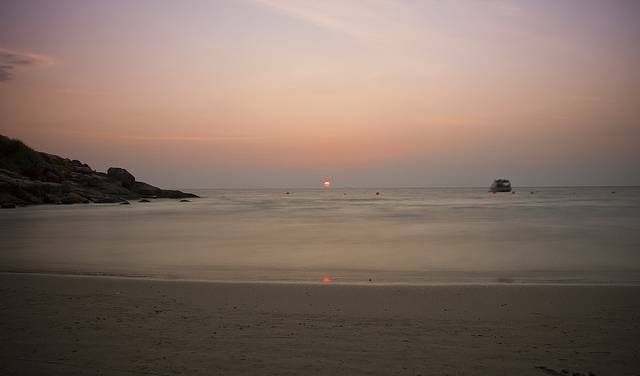 Covelong Beach is popularly known as Kovalam Beach among people of Chennai is located en route to Mahabalipuram. Not to be confused with its namesake in Kerala, Kovalam or Covelong in Tamil Nadu is just 17 kilometers from Mallampuram. The place was once a port town way back in 17th century. The building of Fisherman Cove of Taj group of Hotels and resorts was once a Dutch Palace. The ancient church is also popular among the local people. It offers long sandy beaches and there are sometimes opportunities for windsurfing. A Walk in the sandy shores, glimpse of fishing activities will relax your mind and body. If taking part in swimming or water sports, make sure to follow all local safety guidelines.